2018 is the year of the Dog, it is also the year Mancraft Barbers brings mens barbering to the next level. If you don’t look good then you don’t matter! Mancraft Barbers offers a “Look Good” guarantee. One thing we don’t abide by is men looking and feeling average, our mantra is very simple, look and feel great, its every guys right and Mancraft Barbers only job on this planet is to do this for you. It’s a masterful cut that involves blending either high-mid or low skin fade that sometimes subtle, sometimes striking, a next-level short back and sides. Have your pride and joy shaped and groomed by our beard experts. We will prepare your beard with our Reuzel foam or balm followed by beard shaping. Forget shaving at home. Enjoy the ultimate barber shop experience, starting with a cleanse, pre shave oil with steam preparation and hot towels. Then the lather using our luxurious shaving foams followed with the cut throat razor, finished with a cool towel and a soothing oil leaving your skin super smooth and refreshed. Our barbers can suggest options that are suitable for your beard. Subtle colouring can help even out the colours between their head hair and their beard. This will help blend and create a more uniform look as well as covering grey hairs. Yon-Ka for men offers a tailored response to problems with men’s more oily skin, thicker and more frequently damaged by shaving with 3 essential actions: purify – restore – rejuvenate, which constitute a full process that is easy to follow for everyday well-being. PURIFY is the first step: allow your skin to breathe and optimise the action of other skincare products. RESTORE is the ultimate step in skincare pleasure. REJUVENATE is the essential step to preserve your skin’s youthfulness. Help improve blocked pores and congested skin with our extraction service. Hygienic and cleansing your skin. Perfectly paired with any service. This is the quick skin fix that gets you in, gets your skin repaired and gets you back out the door in less time you take for your lunch break. There are a range of express treatments to choose from with some of the most popular listed below. Your skin therapist will choose the sharpest treatment for your skin concerns. Our customised 1 hour skin treatments offer relaxation as well as all the skin health benefits of a professional skin care range. All facials include a full skin analysis, double cleanse, professional grade exfoliation, masque treatment along with steam. Facial, scalp and shoulder massage and skin protection. Patreece thinks she’s the boss but Andrew knows he is… together they are the driving force behind Mancraft the new age barbers. They are proud to lead a very experienced team of Barbers. 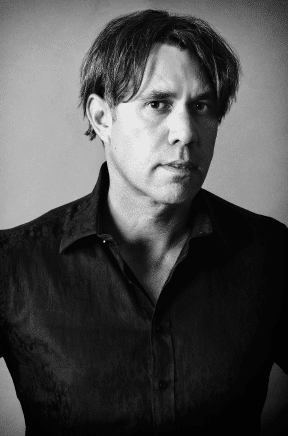 Patreece is an award winning hair stylist and business guru. 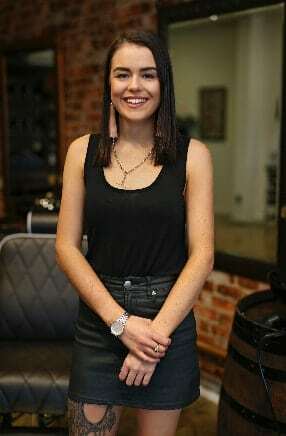 There is nothing this lady doesn’t know about hair and business, creating the two dynamics to bring the next level in barbering right here in Taupo. Andrew brings innovation and development to the equation. With years of dealings with problem solving and trouble shooting, he backs up Patreece with his shrewd business acumen. You can sometimes find Patreece at our sister ship Cremebrulee, Taupo’s premier Hair and Beauty Salon – Beauty treatments, wedding styling hair and makeup! You wanna rock the best fade in town well this is your Maestro, who will take your haircare to the next level. Param is a cool dude, and is extremely skilled with his scissors and buzzer. 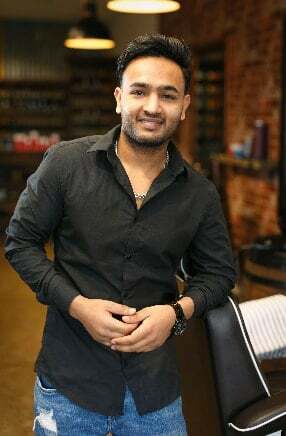 He will create your perfect haircut and style. He doesn’t just want to make you look like a greek god, he wants to develop a relationship with all his clients to ensure a trust only a barber and the guy sitting in the chair can create at ManCraft. This girl has been clipping shaping and styling the big boys for the past 11 years. Talk to our Renee, she will listen and take in what you are wanting, she will give her trusted opinion. She will dare to risk a brand new look, so pay attention gentlemen, and take heed from our sassy Renee. Renee brings her own personal flair to ManCraft and can’t wait to transform with all her clients to achieve the extraordinary! Yip… she clips eyebrows, tidy’s beards, gets rid of all those unwanted hairs in those awkward places for a living and she thinks is kind of fun… A master of the old school wet shave and our mens skincare expert. She will develop a personalised skincare solution that our guys can do at them selves at home. There is not enough emphasis on mens skincare and this annoys our Rachel. Its time to MAN up and look after your skin by regular tailor made facials. We are a walk in barber only, if you would like to make a pre booked appointment please contact our sister Cremebrulee Hair & Beauty – 07 377 2005 and they will be happy to make an appointment for you to your hair done in Cremebrulee. Note. Late nights are subject to the Barbers being busy, if it’s a dark and stormy night and no one is around they may closer earlier than stated here.